I am not sure when it happened to me. Maybe it was when my youngest turned 2? All I know is that I woke up one day after we started our brick and mortar business and I suddenly didn’t have any free time. Do you know that feeling? I swear I can’t keep the laundry done, the dusting around the house finished, the floors vacuumed, or the meals prepped. Needless to say, I started prioritizing all of my household chores and incorporating some child chores. Yes, my kids have tasks. Thank goodness! This house would be full of dust, and all of the dishes would be dirty if they did not have chores. 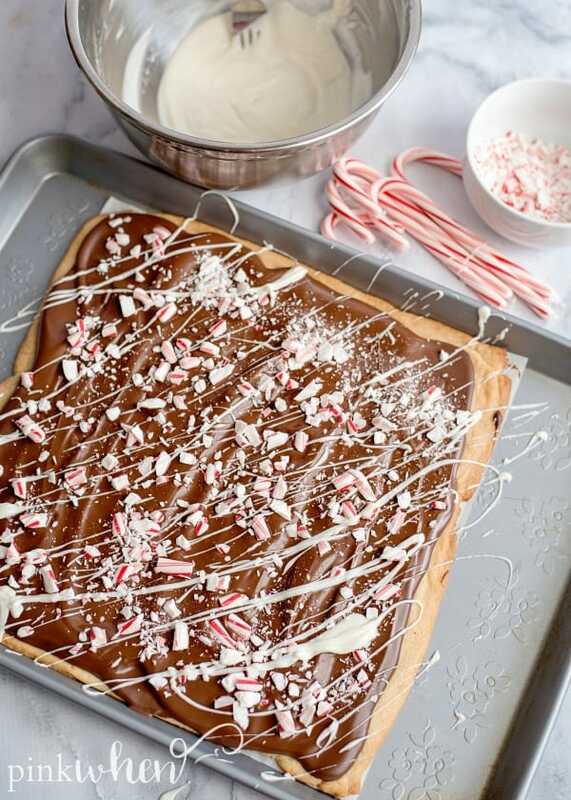 How long does it take to make this easy peppermint bark recipe? 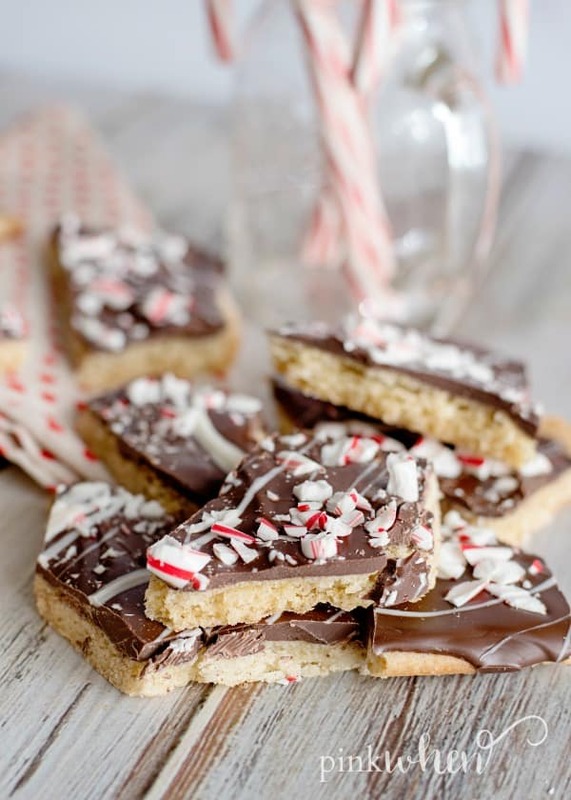 So you might be thinking now, what does that have to do with peppermint bark cookies? It has everything to do with them. Why? Because they don’t take much time! 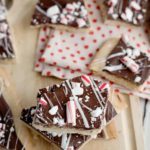 Even though I feel time flying by, I can always find a quick 30 minutes to make a delicious dessert as good as this peppermint bark recipe. These really are the best holiday cookies, and I love that they are easy enough for my 7-year-old to make. This is an easy holiday cookies recipe. There are not a lot of ingredients, and the bark comes together fast. 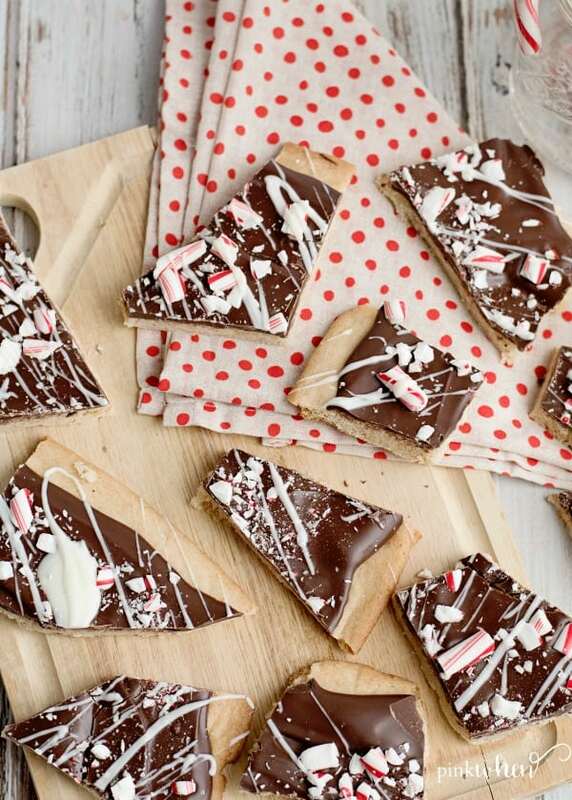 These peppermint bark cookies are quick and easy, and you won’t believe how fast they come together. 1. Make sure you preheat the oven to 375 degrees. Cut a piece of parchment paper to 12×12 size and place onto a cookie sheet. 2. If you haven’t done so already, crush the peppermints and set them to the side. 3. Use a mixer to blend the cookie mix, egg, and butter. Mix until a soft dough forms. 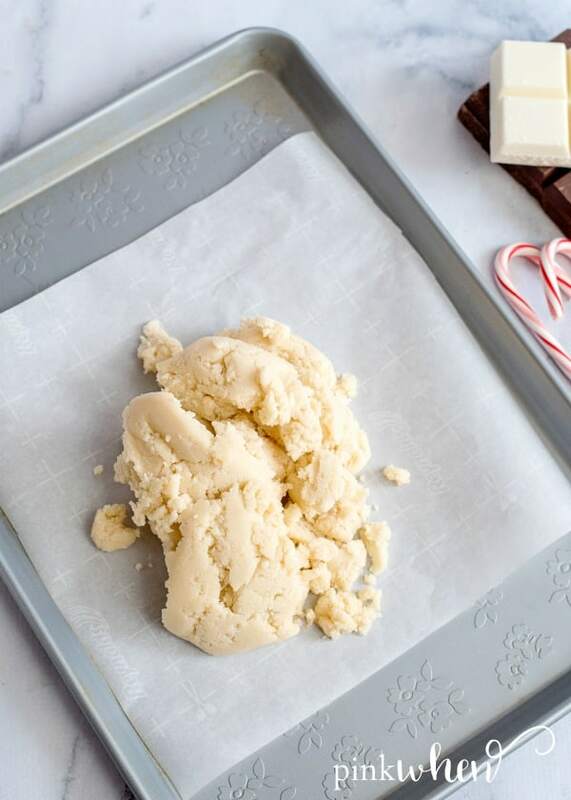 Spread sugar cookie dough to the edges of the parchment paper. 4. Press the cookie dough onto the parchment paper and roll it out to the edges. You can also use a plastic cup to help roll out the dough, and it won’t stick! 5. Bake the cookie dough for 10 minutes or until it is a light golden brown color. 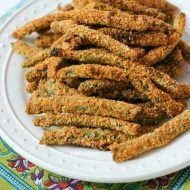 Remove from the oven and allow it to cool completely. 6. Melt the chocolate almond bark (best done with a broiler) and spread all over the top of the cooled cookie crust. 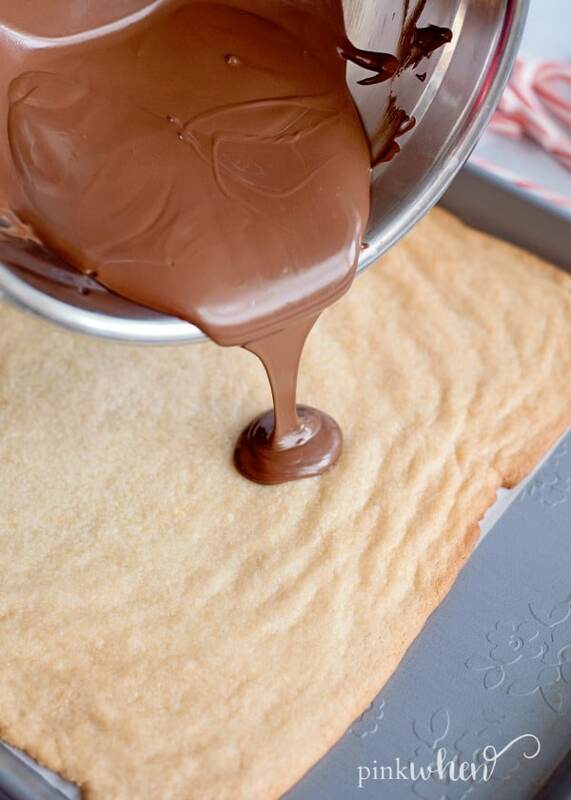 Spread melted chocolate over the sugar cookie crust. 7. 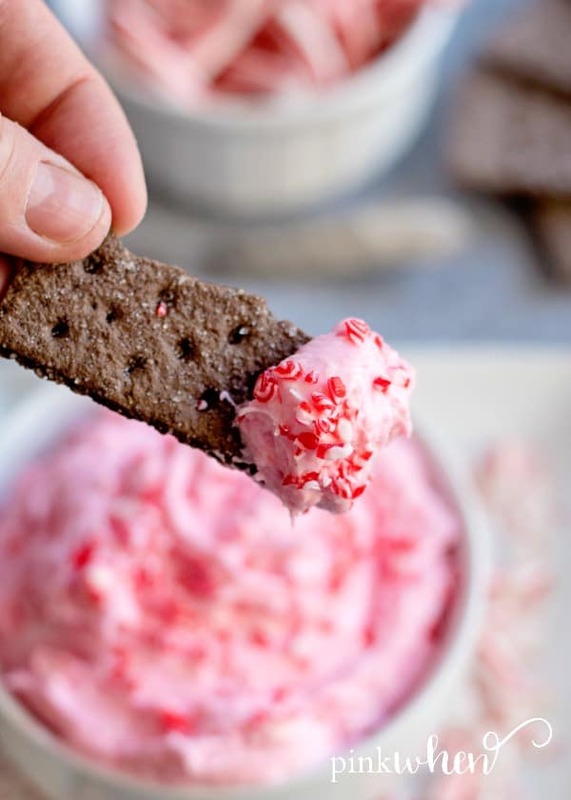 Sprinkle the crushed peppermints all over the melted chocolate. 8. Melt the white chocolate and drizzle it all over the top. 10. Break apart and enjoy! You can also use a pizza cutter to create cleaner slices. That’s it! Just 10 steps to delicious, easy holiday cookies. 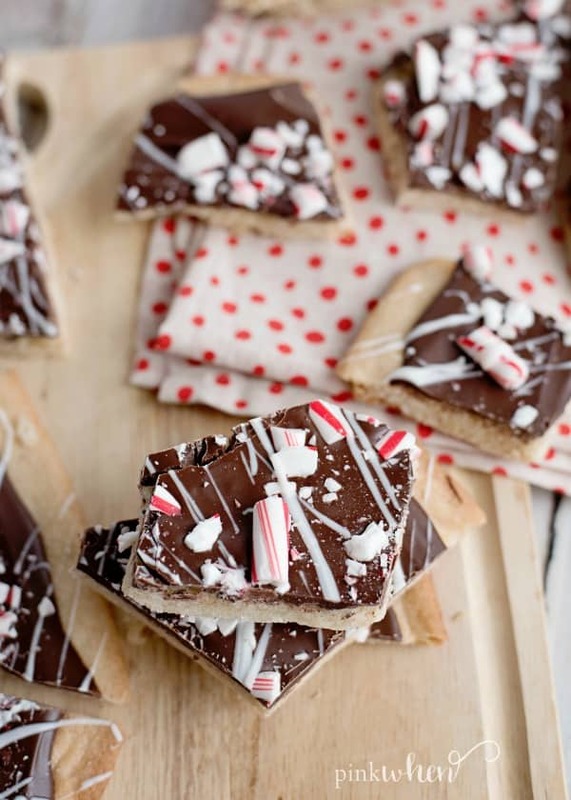 If you love peppermint bark, you’re going to enjoy these peppermint bark cookies. 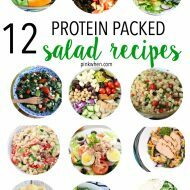 Not only that, but this recipe doesn’t take up much time. The time I seem to need more of. Are you looking for other easy holiday dessert recipes? 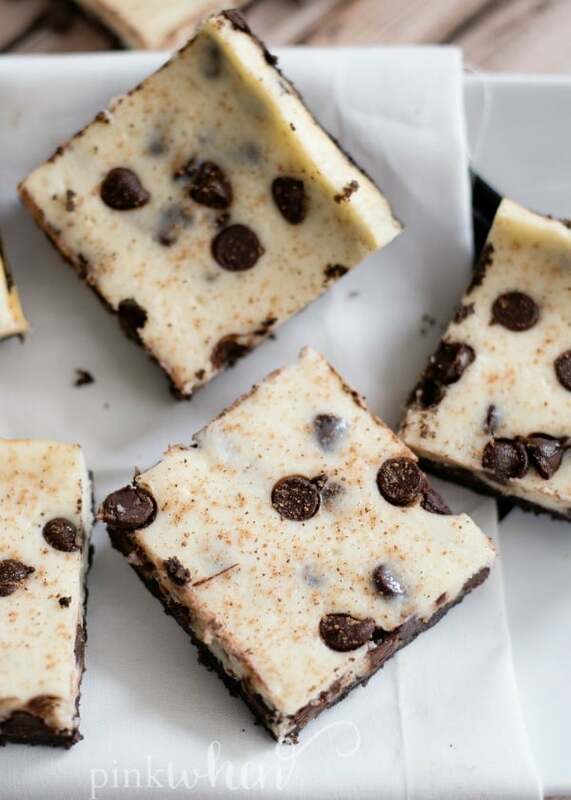 You might like these Ultimate Chocolate Chip Cookie Dough Bars. You might also like this holiday cream cheese dip. Or maybe these holiday chocolate chip eggnog bars. If you are looking for another great dessert, check out this microwave fudge recipe. Making fudge is now easier than ever. 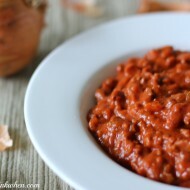 Don’t forget to give this recipe a rating! 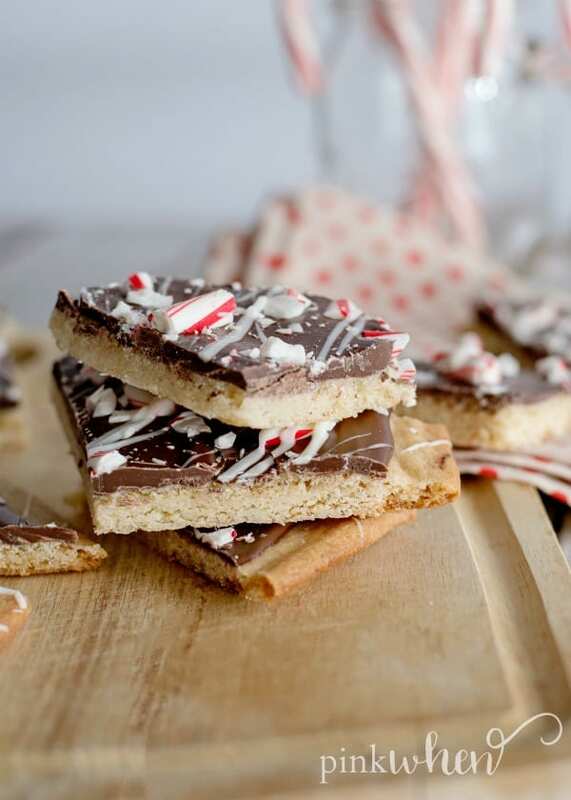 Learn how to make the best peppermint bark cookies in only 30 minutes. A quick and easy holiday cookies recipe. Preheat oven to 375 degrees. Cut a piece of parchment paper to 12x12 size and place onto a cookie sheet. Crush the peppermints in a bag and set aside. 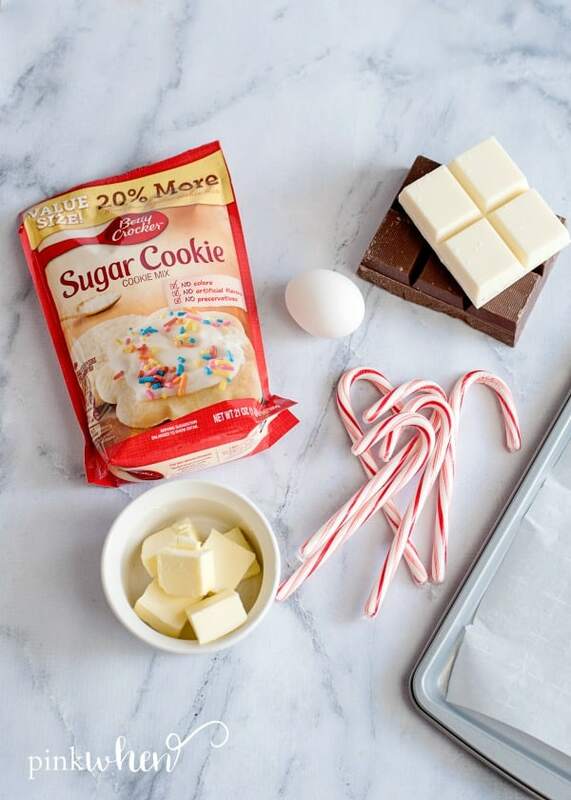 Using a mixer, mix together the cookie mix, egg and butter until a soft dough forms. Press the cookie dough onto the parchment paper and roll out until it fills the edges of your 12x12 sheet. Rolling a plastic cup works great, as it won’t stick. Melt the chocolate almond bark using a double broiler method. Spread the melted chocolate all over the cooled cookie crust. Sprinkle the crushed peppermints all over the top of the chocolate. Melt the white chocolate and decorate the top with drizzles all over. Place into the fridge for a couple of hours until the chocolate has completely set. Break apart and enjoy! If you prefer cleaner slices, use a pizza cutter.